"Anastasia Vitsky is a naughty girl with a wicked sense of humor. She writes F/F spanking stories because she loves a story with a good female disciplinarian. She strives to write stories that speak to our everyday lives now versus the fantasies no one can hope to achieve. When she's not writing about Kat and Natalie and their penchant for wooden spoons, she conducts research on narrative. She blogs at http://governingana.wordpress.com/ and can be found on Twitter, Facebook, Goodreads, and Amazon. She is the author of The Vengeance of Mrs. Claus, Desire in Any Language, Editorial Board, The Way Home, and Simple Gifts." Anastasia's Interview will go live On April 29th so do your research and come ask her some questions! 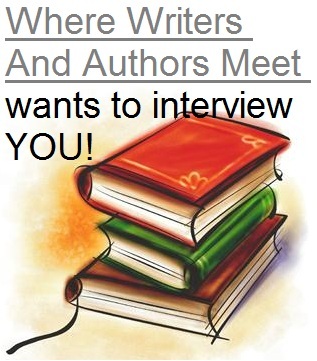 Would you like to be interviewed by the group? Here is how to enter. Do you do your own covers or do you have them done for you? What inspires the covers? Thank you so much for hosting me, Virginia! Looking forward to questions from readers! I'd like to know, Anastasia, where were you on the night of the thirteenth and with WHO!!! Anastasia, looks like you've published 4 books since December, how do you write and publish them so fast? I love your covers, do you do those yourself? Hi Ana! 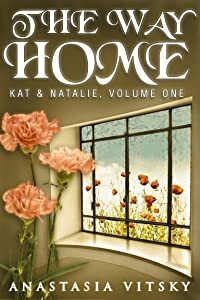 Do all your characters communicate with you like Kat and Nat do? When your characters come to you, do they reveal everything about themselves or do some things come up while writing?